Have you ever had someone who made a difference in your life? There have been several in my life. I would like to share with you about a small family who made a difference in my childhood. Dottie with her two girls. When I was about 10 years old, some new neighbors moved in next door. It was a husband and wife, two daughters, and two basset hounds. The girls were about 3 and 7 years old. My mother took my younger sister and me over to meet the new neighbors. We said hello and welcomed them to the neighborhood. They were very friendly. That was the beginning of an amazing friendship. The couple’s names were Roger and Dottie. They loved each other and loved their children. My sister and I would go over to their house any chance we could. We would slip under the oleanders and climb over the four-foot fence, and there we were in their backyard. In that modest-sized backyard, Roger and Dottie taught us, along with their daughters, to play basketball, volleyball, badminton, croquet, pogo stick, and more. If we hit the wiffleball over the fence, Roger would give us a dime which we thought was awesome. Indoors we would play board games, cards, bumper pool, puzzles, and make up skits. Roger and Dottie were both so encouraging in everything they said and taught us. 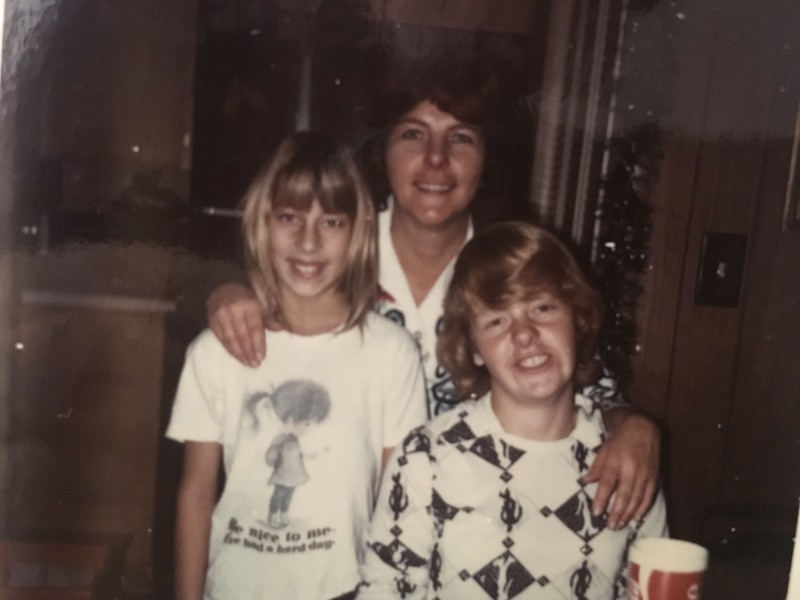 When my mother would call us home, Roger would immediately stop what we were doing and say, ” Your mother is calling, go on home.” And we would. We respected him very much. At that time in our lives my sister and I had some difficulties going on in our own home, and so God in his goodness sent us these neighbors to help us through that rough patch. Roger and Dottie instilled a deep confidence in me that I lacked. They were simple people. I never saw Roger in anything else but a T-shirt and blue jeans. They were one of the few families in our neighborhood who were not Catholic. Roger was a believer but not a church-goer even though his wife and children were. I must say, however, that he was one of the most Christian men I knew, instilling guiding principles and values into my life. One day when I was a sophomore in high school, I received news that Roger had been electrocuted (he was an electrician) and was in critical condition. Shortly after, at age 37, he passed away. I never saw him again. Due to his unsightly condition, only his wife saw him in the hospital. It was one of the saddest days of my life. To this day I still thank God for putting this family in my life. Roger was there when I needed a father figure. I have asked God many times to give him an extra special place in Heaven for all he did for my sister and me. I am still in contact with Dottie, who is now in her 80’s, and she keeps me up to date on her girls. I don’ t know how many people Roger helped in his short life, but I do know he helped my sister and I and we, in turn, try to help others. We all have the power to be a positive influence in a child, teen, or adult’s life. It may be our own family or it may not be, but we can make a difference. We can be a Roger and Dottie in some way to someone. God may be needing you to be that person. Thanks for the great article. That is very encouraging.